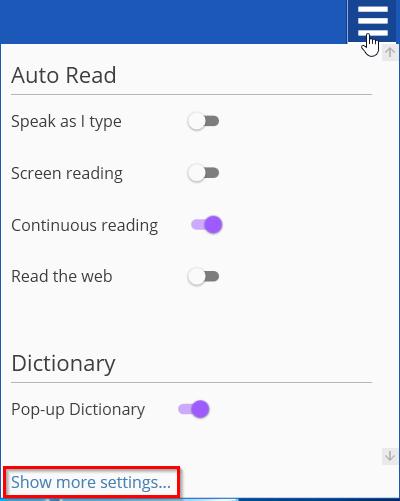 The Exam Mode in Read&Write for Windows allows a teacher or admin to turn Read&Write toolbar features off for exams. 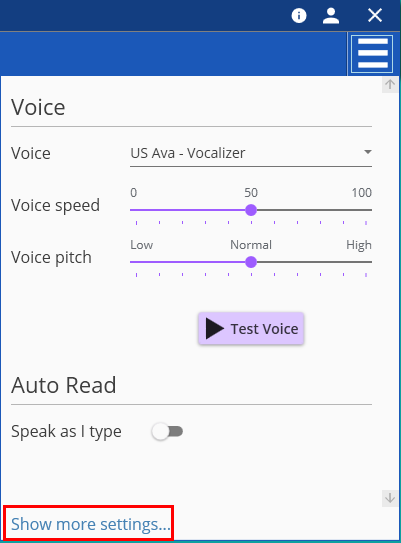 Exam Mode can be used to turn features off for one student on a particular computer where they will take an exam. 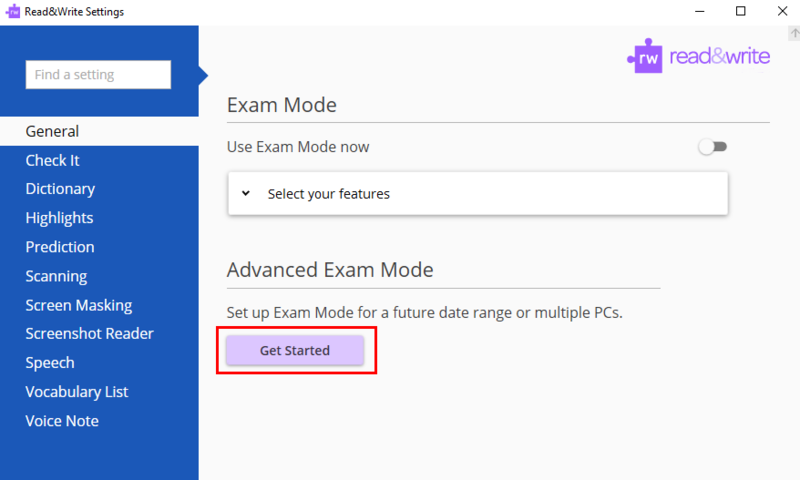 The advanced Exam Mode can be used to turn features off for large numbers of computers or users on your network, or to set up a date range in the future for Exam Mode to be automatically enabled. Please note this setting will only apply to the local computer and Windows user that is currently logged in. 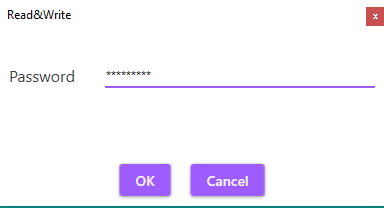 You’ll be asked to enter and confirm a password. Once these have been entered, click OK.
Close the Read&Write settings menu. 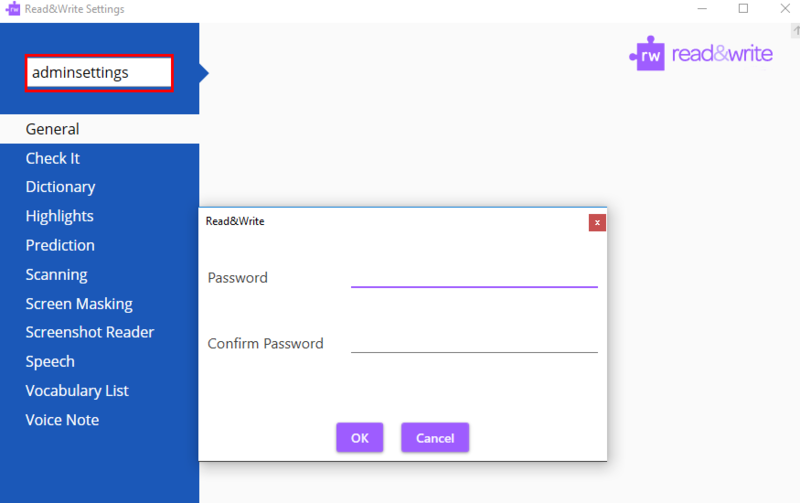 Read&Write is now ready for the student to take the exam. Turn off the Use Exam Mode now toggle. 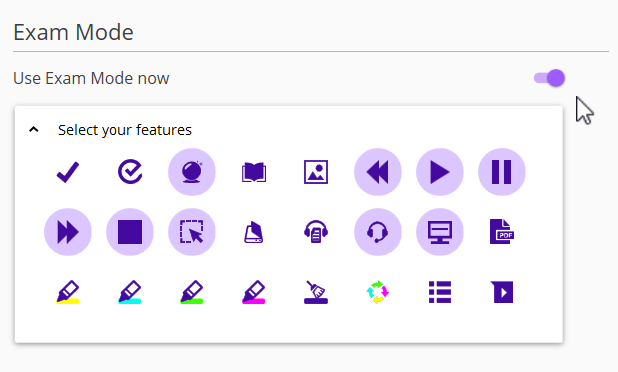 All buttons and settings will now be available again on the Read&Write toolbar. 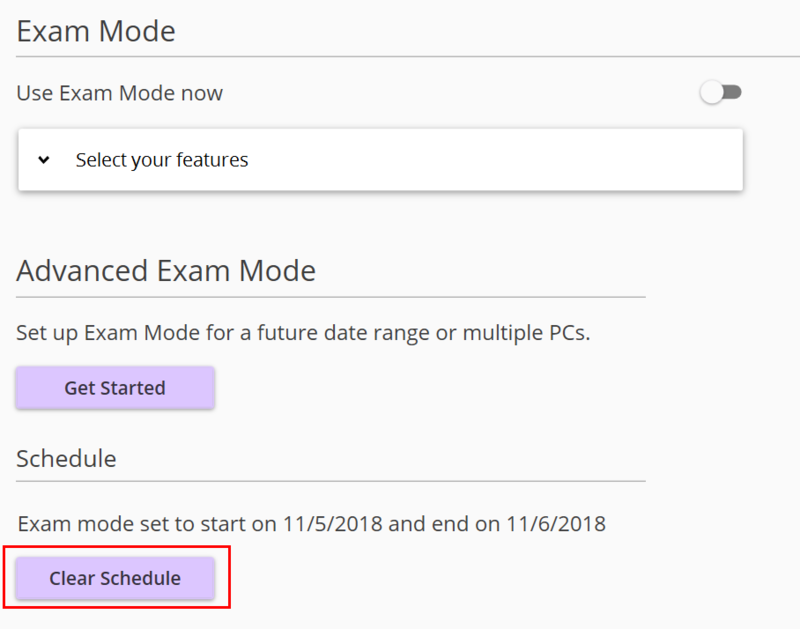 This setting will allow you to apply Exam Mode settings to multiple users or computers on your network, and/or select a date range for Exam Mode to be automatically enabled. If you have set up Read&Write on your network with user settings stored in a central folder, next you will see a list of your Read&Write users. 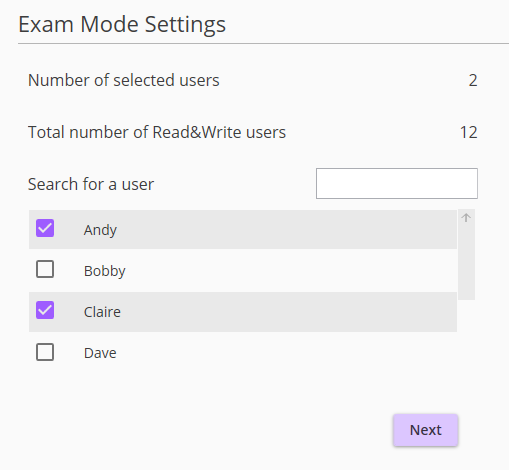 Select which users you’d like to apply Exam Mode to, and click Next. Note: If your Read&Write user settings are stored locally, you will not see this option. If you choose Yes, Exam Mode will be immediately enabled and will remain on until you turn it off. 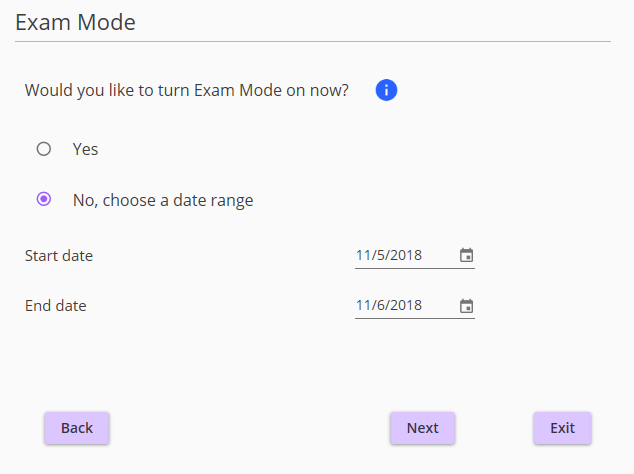 If you choose No, select a date range below for Exam Mode to run. It will run through the duration of the start date until 11:59:59 pm on the end date. 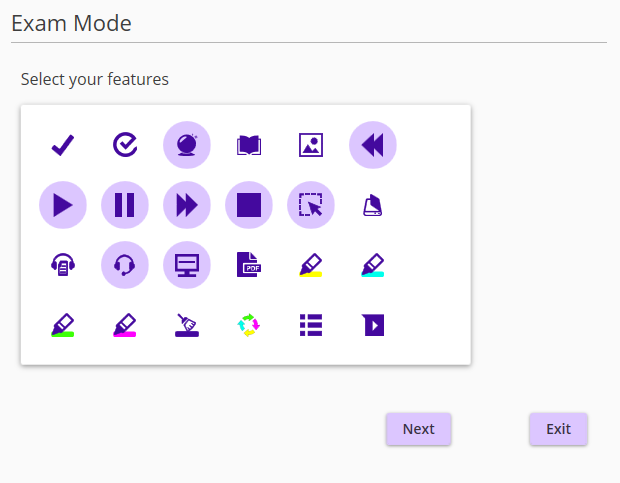 Choose to apply these Exam Mode settings to multiple computers. This will create a file called ExamSettings.xml that can be deployed to your exam computers using a deployment method such as SCCM. 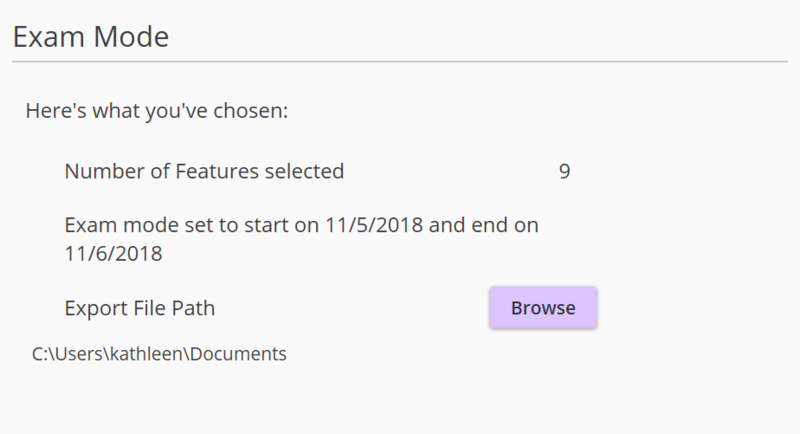 If you have configured Exam Mode for a date range, you will see this information appear under Schedule on the main Administrator settings page. To end a scheduled Exam Mode early, click Clear Schedule. Note this will only clear it for that logged in Read&Write user.